"Vision" Is The New "Concept" Except We Still Call Them "Vision Concepts"
Remember when car companies would show you an outlandish car with outrageous styling, fantastic technologies, and almost zero production potential, and they called them “concepts?” The word “concept” used to be enough. It told you not to expect to see in a show room what you were seeing on the show floor, but that the manufacturer was teasing a future styling direction or a design solution for an emerging market segment. Coinciding with the devaluation of the “concept” currency, several companies started licensing the likenesses of design exercises to racing video games. This was new business—a concept car you could actually experience to some degree. Suppose it was your concept and you needed a new word, something to push it to the top of the GIS page... “Gran Turismo” won’t work because all your cars already appear in a game by the same name, and you already sell cars with “GT” in their names besides...how about “Vision?” Vision sounds like a concept, but slightly more tangible...or something...right? Sure. Shown: Infiniti Vision Concept, in silver. * “vision concept gran turismo” specifically identifies an imaginary race car that doesn’t have to be designed for or forged by racing...it is a fancy unicorn with magic chassis and engine technology, zero packaging concerns, and a body shell that cannot be manufactured and affords no access for maintenance or suspension travel. So what does “vision” mean now? It means “concept,” except we let manufacturers excite us with cheap talk and sleight of hand, and now we have to call all the concepts “vision concepts,” and every jerk with an M4 thinks he’s driving a car that went straight from concept to production, and also they’re having ice cream for dinner. So, who is the worst offender here? By a wide margin, BMW, who has at least four cars with both the “vision” and “concept” monikers, not counting the Vision Concept from their subsidiary, Mini. To their credit, BMW showed enough Vision Concepts that they actually started trying out colors on them. So, what is your favorite Vision Concept? If you don’t have a favorite, which one is most infamous? Who’s “Vision Concept” came first? Which one devalues the term the most? 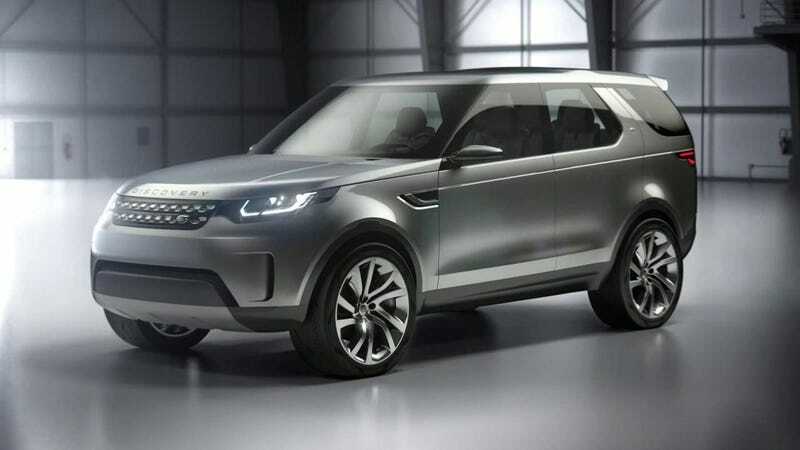 I mean, besides the basically production-ready Land Rover at the top. What Is The Best/Worst "Ran When Parked" Listing In Your Area? Any Seattle Area Jalops Looking For A Project?